‘Serious’ is an awesome track that follows in the footsteps of their first single. 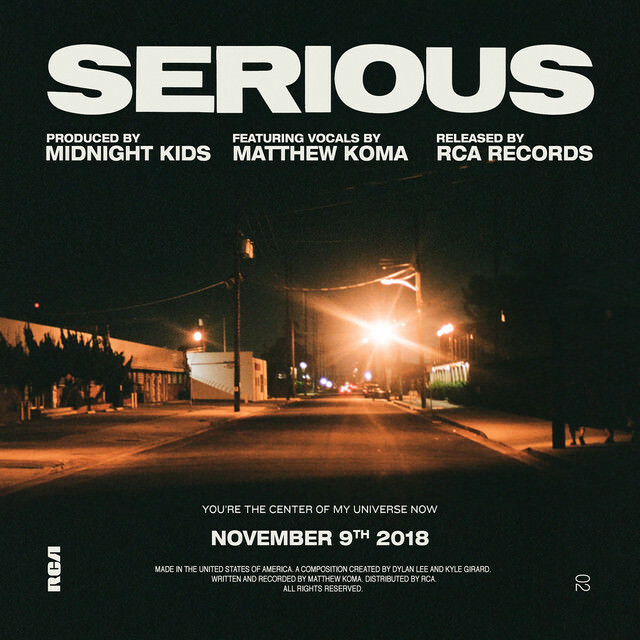 Featuring vocals from Matthew Koma, Midnight Kids’ sweet sounds combined with his vocals allow for an incredible song. You will definitely have a smile on after listening to this one. It seems like they are really finding their sound and people are loving it. Midnight Kids are currently not on tour but you can expect them to be in the studio brewing up another hit for us soon. You gotta give this one a listen below! Dance music is one of my biggest passions and I love to write about it.